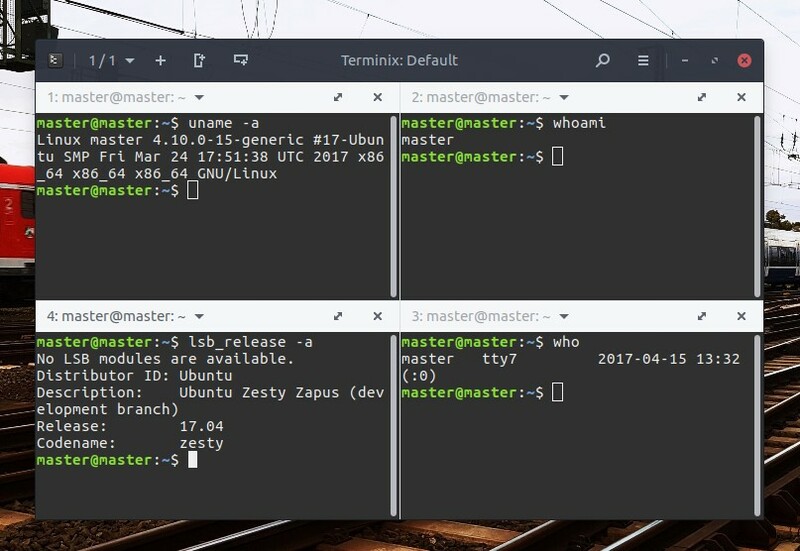 Ubuntu Budgie begins its debut as official Ubuntu family in 17.04 "Zesty Zapus" release. 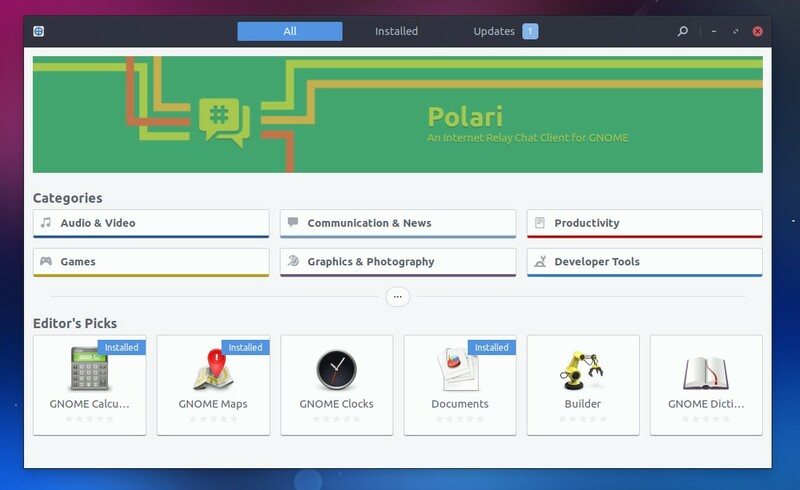 It's a new choice of flavors with new desktop environment (Budgie) as operating system for us. 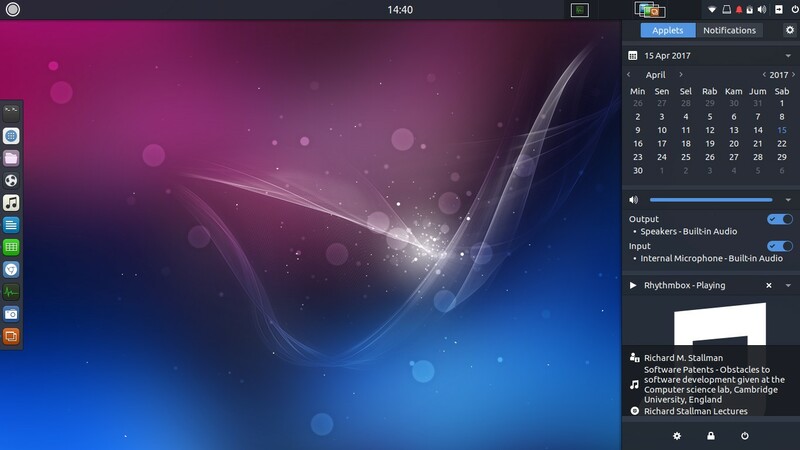 Ubuntu Budgie is crafted purely for desktop use, no tablet-like interface (like Unity or GNOME), thanks to Budgie DE. So I want to introduce Ubuntu Budgie 17.04 to beginners especially if they're new to GNU/Linux. 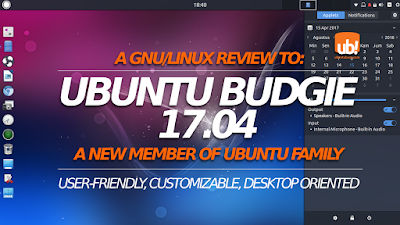 I hope you'll enjoy Ubuntu Budgie starting from this review. Note: this article is a review. If this is not you're looking for, we have Ubuntu 17.04 all flavors complete download links, installation guide, and what to do after install. If you want to save your bandwidth, download Ubuntu 17.04 using zsync. It comes with Budgie Desktop Environment and Plank. It's not mobile/tablet oriented (like Unity/GNOME), but crafted merely for desktop use. It consumes around 850MB of memory at idle. 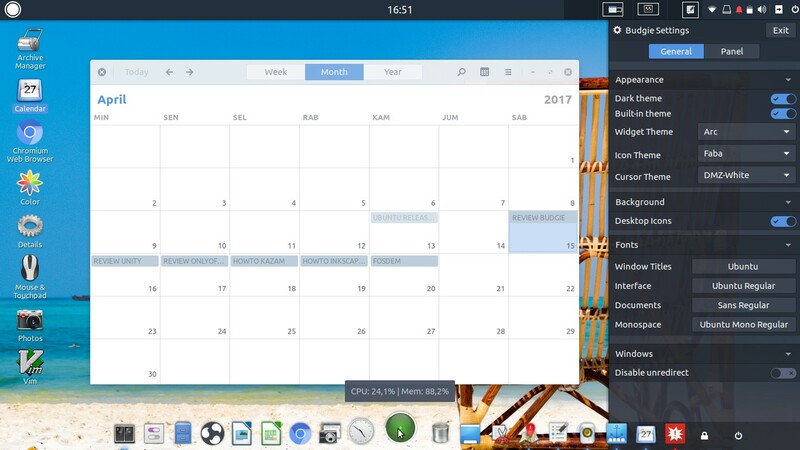 It comes with GNOME Software 3.22 and Calendar 3.24. It supports audio/video playing with MPV player & Rhythmbox. It gives user-friendly customization through Raven and Menu Editor. Here is Budgie Desktop Environment (BDE) on Ubuntu Budgie 17.04. 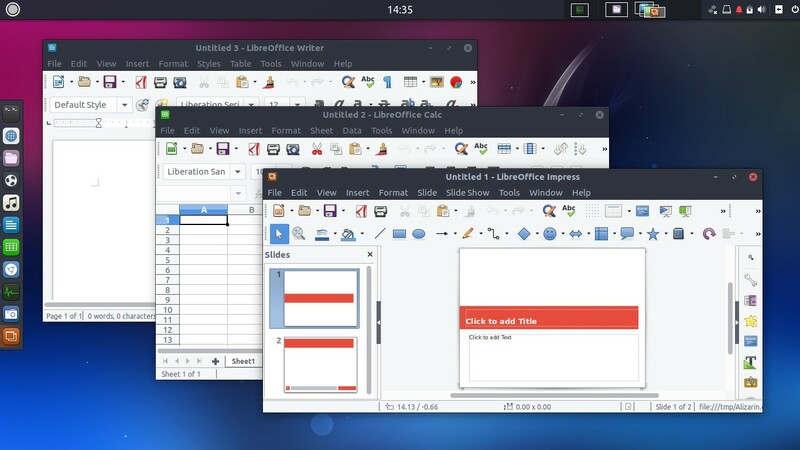 The main differences between it and Ubuntu regular is the desktop interface: UB uses Budgie and UR uses Unity, UB is purely desktop oriented while UR is more mobile-oriented. Furthermore, Ubuntu Budgie features Plank by default. Super key? 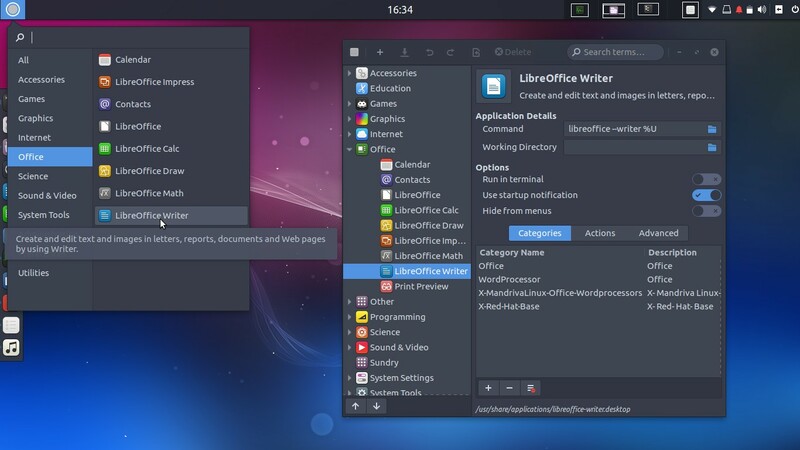 Yes, Ubuntu Budgie enables Super key to open/close desktop menu. It's the same as Windows as well as Unity and GNOME. What's Budgie? Budgie is a desktop environment best known created for Solus OS by Ikey Doherty. Budgie is the whole desktop you see on Ubuntu Budgie. Its interface consists of two main component: top panel and Raven (right-vertical sidebar). 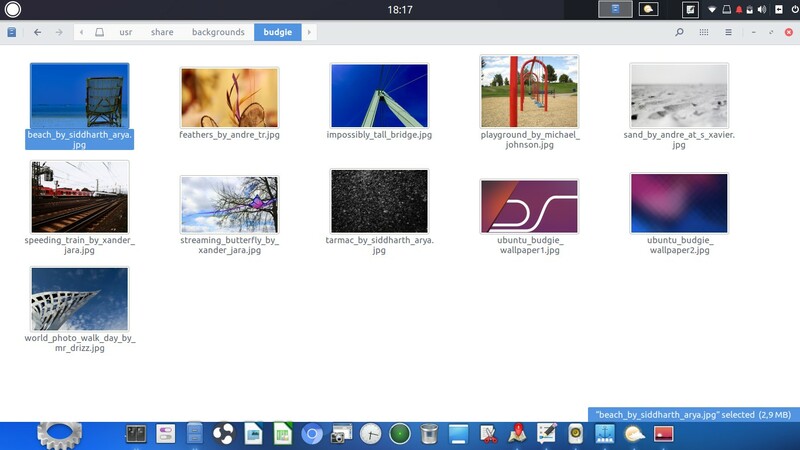 Unlike Unity or GNOME, Budgie is never intended to be mobile-oriented interface. What's Raven? It's the right sidebar of BDE. User can see notifications or do customizing on it. What's Plank? It's the left vertical panel by default, a dock for apps. It can be placed on bottom to mimic MacOS dock or the legendary AWN. Ubuntu Budgie 17.04 features new wallpapers stored at /usr/share/backgrounds/. These are the wallpaper contest winners at February 2017. 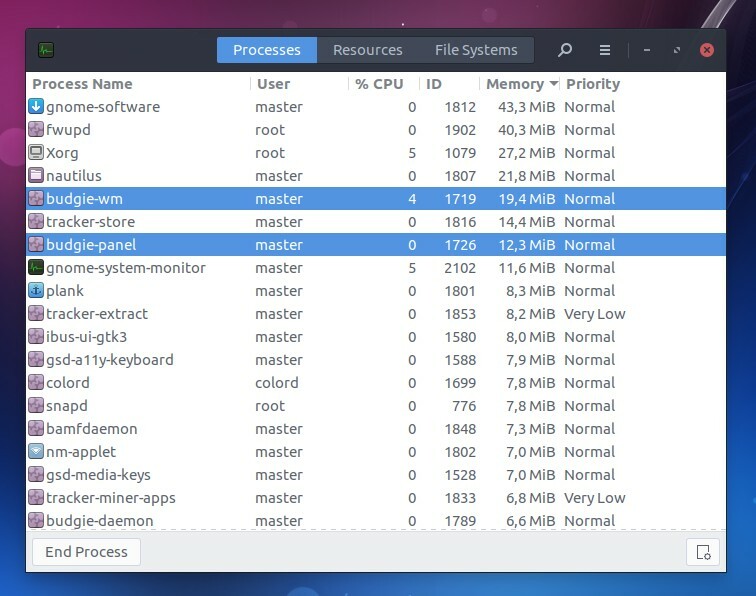 After freshly installed, at idle time Ubuntu Budgie uses around 850MB of RAM. Surprisingly the "biggest" processes are fwupd (~40MB) and gnome-software (~40MB), and they're not original components of BDE itself. By this fact, it's lower than Ubuntu 16.10 (1GB), Ubuntu GNOME 17.04 (1.4GB), and deepin 15.4 (1.GB); although it's higher than KDE Neon 5.8 (350MB) or elementary OS Loki (600MB). Being "official flavor" means having the same repository with Ubuntu original flavor. So all the software available for Ubuntu are available too for Ubuntu Budgie. There are more than 70000 packages available in official repo for 17.04. On Ubuntu Budgie, you can search/install them using GNOME Software. To see all enabled repository addresses, read /etc/apt/sources.list file. They are all the official Ubuntu repo for 17.04. 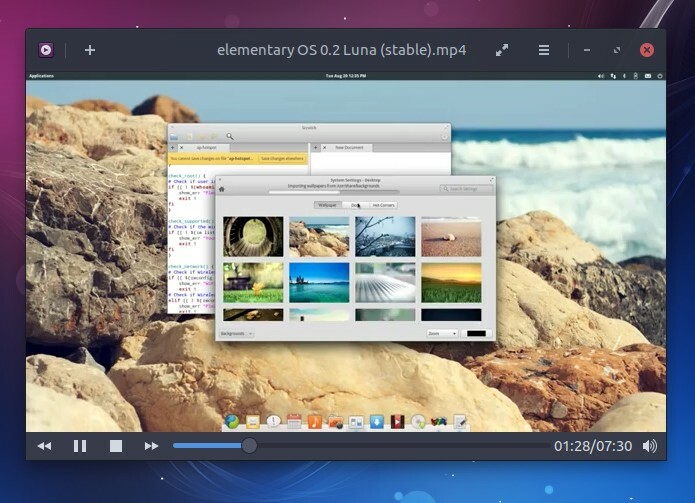 At default install, Ubuntu Budgie can play OGG & WEBM and also MP3 & MP4. 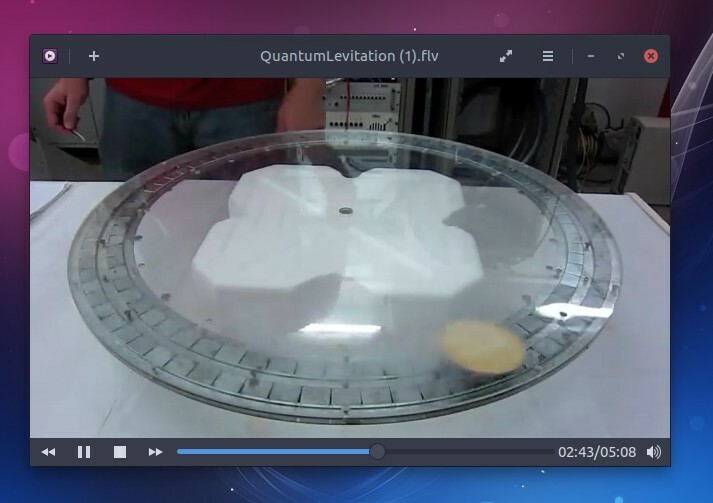 All videos handled by GNOME MPV. What makes Ubuntu Budgie different to Ubuntu regular and flavors would be your daily life experiences with it. Because of BDE, you'll have unique desktop behaviors and customizations. This part emphasizes that briefly. It's very easy on Raven (the right sidebar) with few clicks to --for example-- change desktop icons, theme, panel, and add some applets. 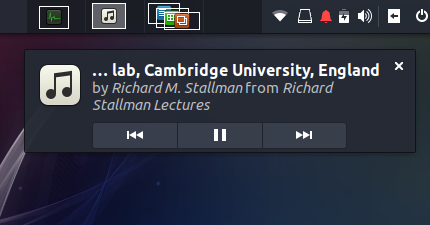 Raven brings new concept to custom themes/icons by sidebar, and Unity on Ubuntu Regular doesn't have it. Imagine you can change GIMP icon or add new icons or rearrange icons on menu. That's the Menu Editor job. 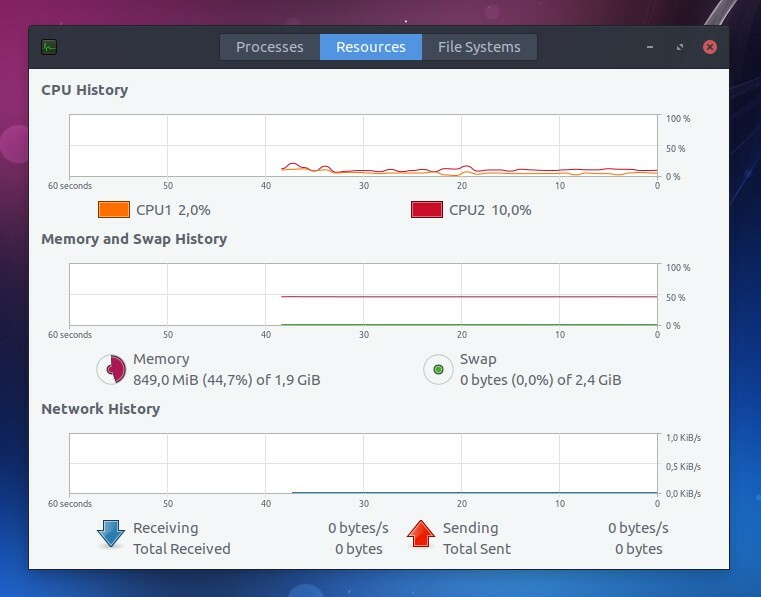 Ubuntu Budgie features this nice tool. It means you can create menu easily for any program you install manually, e.g. from AppImage, that is not automatically add themselves on menu. It's very suitable for desktop users when software installation is not always come from official repo. The bubble is playable. When you're playing any audio, and you pause it, the bubble shows control buttons. All notifications don't disappear but listed historically on Raven. 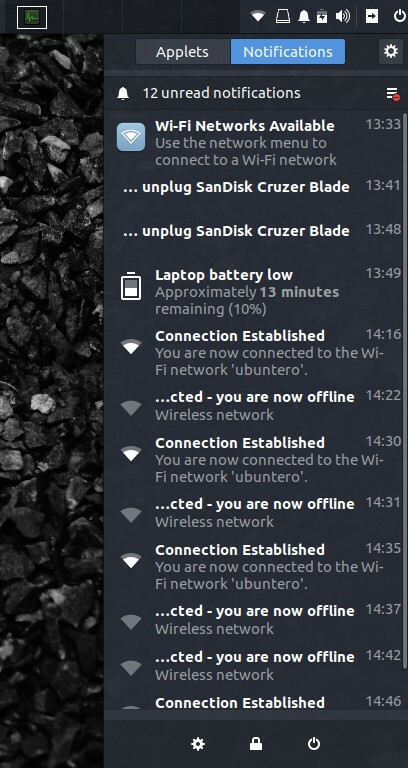 On Ubuntu regular, there's no notification history. 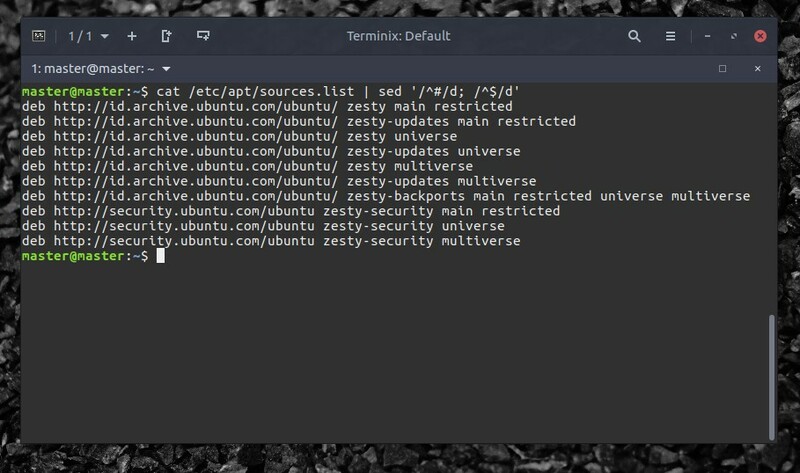 Ubuntu Budgie 17.04 features Terminix as replacement to GNOME Terminal on Ubuntu regular. Terminix enhances your experience by featuring tiled view, you can divide one screen into many screens side-by-side. 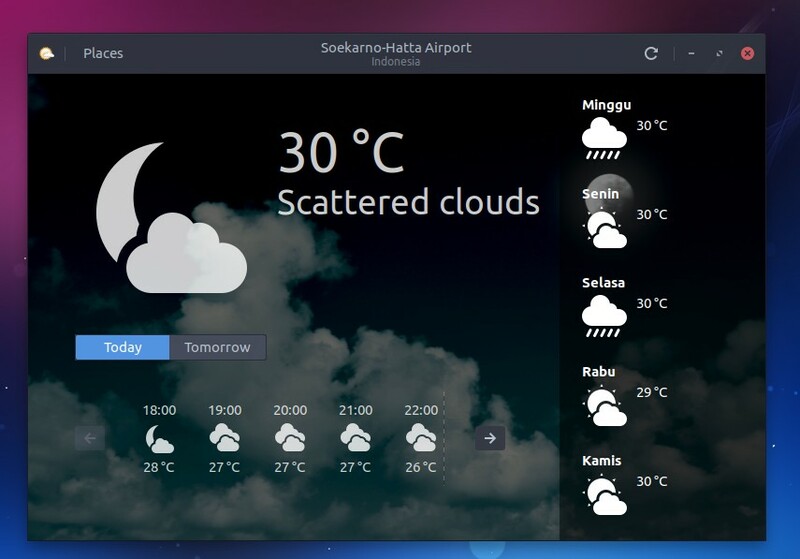 Ubuntu Budgie features GNOME Weather by default. By this app, you can check local weather while online. It can also check weathers from different locations you specified. It's very helpful while you love travelling for example. Ubuntu Budgie 17.04 is very user-friendly and complete for desktop use. By default install you get BDE, general tools for desktop needs, easy customization, and audio/video support. 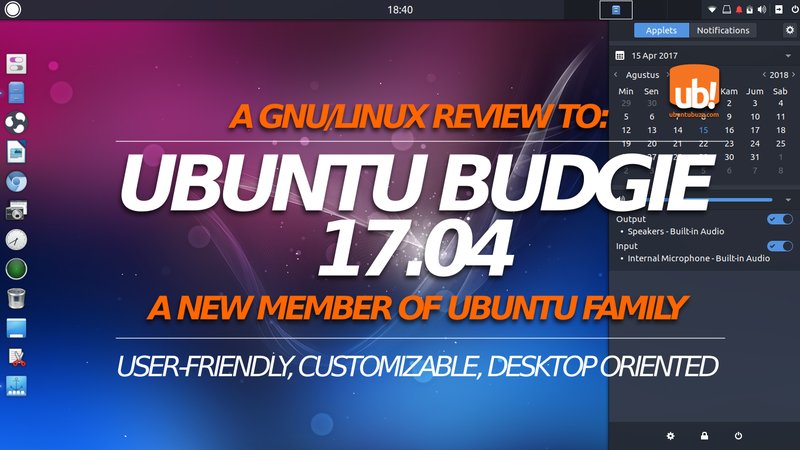 Ubuntu Budgie is new for Ubuntu users but really by these all it's worthy for you to try. This part lists some technical details about Ubuntu Budgie 17.04.